I’ve been making this salad ever since eating something similar at a potluck a decade ago. Since preparation consists mostly of opening cans and bottles, it’s probably my fastest go-to recipe. Simple, quick, and delicious! Open a few cans and have a delicious corn-and-bean salad ready in minutes. 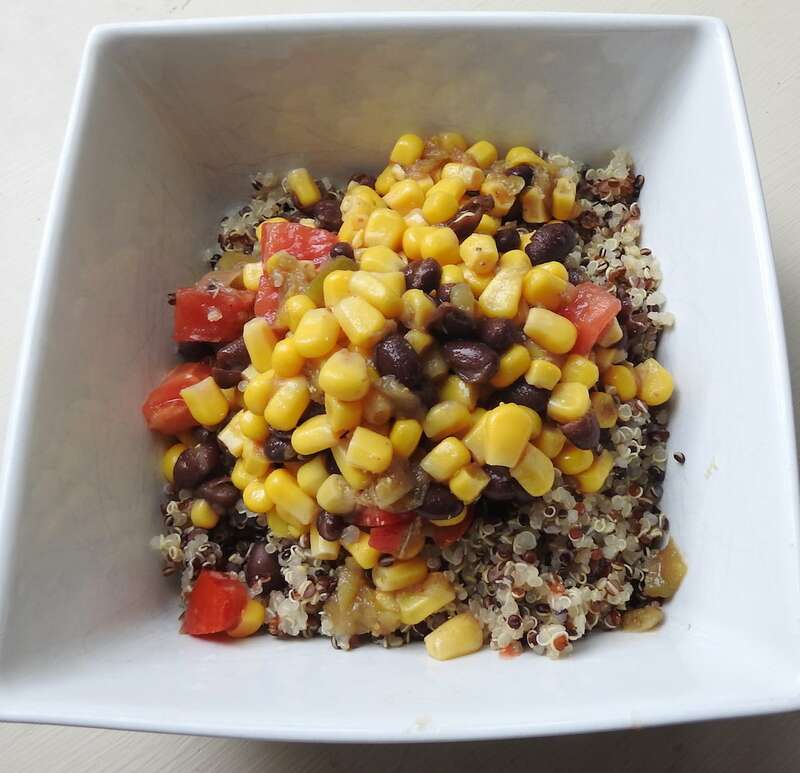 Wonderful as an easy side dish, but also great as the basis of a quick meal by serving on top of cooked quinoa (pictured) or wrapped in a burrito with a little cheese and heated.